Expand your knowledge of the science of Yoga. 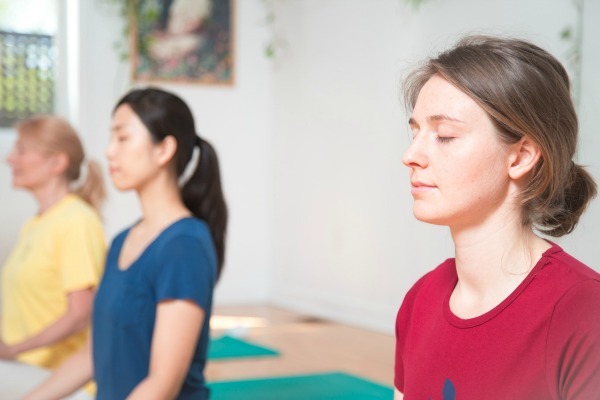 From asana and pranayama, to vegetarian cooking and Ayurveda, to philosophy and psychology and more, these workshops and special courses offer you the chance to explore brand new topics or dive deeper into a special area of interest. Save with a Workshop Pass. In today’s world, our senses are constantly bombarded by external stimuli. It can become very difficult for the mind to stay peaceful amidst all the information coming from our laptops and cell phones. It is not easy to resist the tempting foods presented in TV ads and products advertised on our social media feeds. We become so accustomed to sensory overload that we begin to seek it and may even become addicted to it. The art of withdrawing and calming the senses is a form of Pratyahara, one of the main practices of yoga. 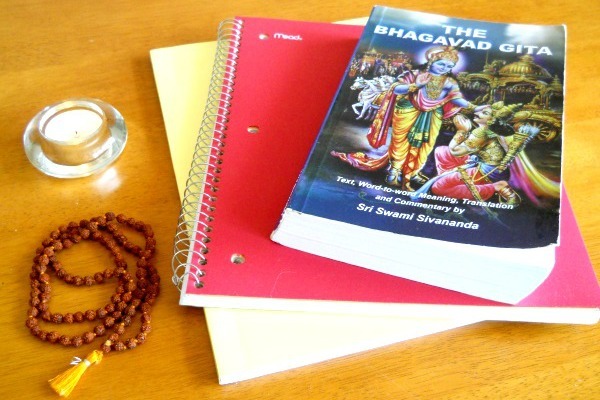 Swami Sivananda says: “Pratyahara itself is termed as Yoga as it is the most important limb in Yoga Sadhana” – this is true today, more than ever. We will learn several techniques of Pratyahara that anyone can apply, regardless of age or level of your yoga practice. You will be able to do these practices at work, with your family, or on your own to help you stay relaxed in your daily life and create a strong foundation for meditation even when your world does not provide the perfect conditions. 03may(may 3)6:00 pm05(may 5)2:00 pmTeaching Chair Yoga Short Description: Learn to offer student a complete yoga practice in the chair. Learn to offer a complete yoga class in a chair – ideal for seniors, those with limited mobility and office workers who need to refresh during the work day. Aging can bring many stresses, from the body weakening to loneliness and depression. Practicing in a chair offers students unable to get on and off the ground the chance to share in the benefits of yoga. This course will offer you the tools to provide students with the ability to build strength, awareness, confidence and to increase their well-being both physically and mentally. Open to yoga teachers of all traditions. Continuing education certificate of completion with Yoga Alliance. Also open to health care professions who work with the elderly. Enjoy this opportunity to help more people enjoy Yoga, improving their quality of life – especially our elders! 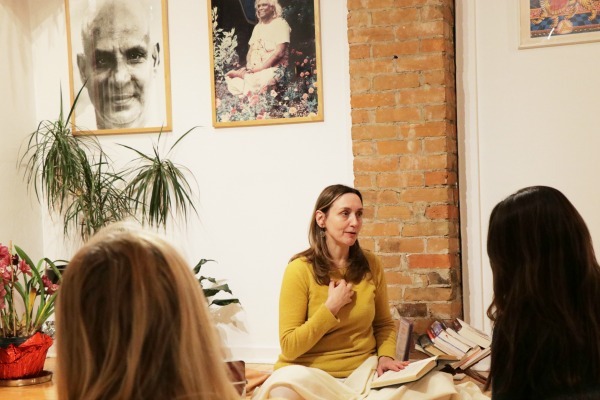 About the Teacher: Anjaneya (Michael Hutkins) is a graduate of the Sivananda Advanced Teacher Training Course and is a full time yoga teacher, sharing Sivananda Yoga with people of all ages and abilities in Ottawa, Canada and conducting Chair Yoga Teacher Trainings in Ontario, Quebec and the U.S.A. Learn about the fundamental principles of Ayurveda – the ancient science of healing and its unique Panchakarma program which offers numerous techniques that will help restore the health of the body and mind. Learn how to plan well-balanced, nutritious meals that include all necessary elements with authentic tridoshic Ayurvedic recipes. Ayurveda, the ancient science of life and longevity, teaches us that food plays an important role in a healthy life and makes a vital contribution to continued good health. About the Teacher: We are blessed to have this workshop taught by Dr. Sonal, a master of doctor in Ayurveda from the world famous university of Ayurveda, Jamnagar Ayurvedic University, India. Dr. Sonal has been practicing as an Ayurvedic consultant, Panchkarma specialist, teacher and researcher in India and Canada for over 20 years. 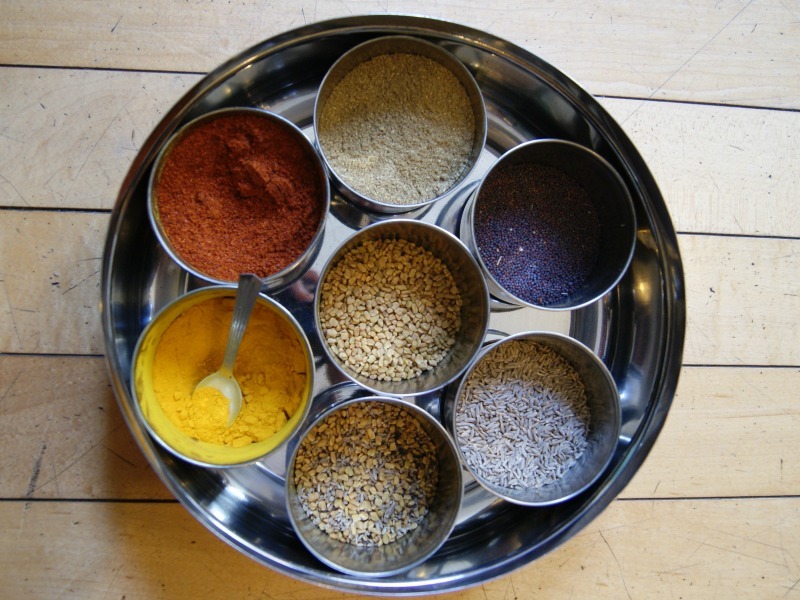 Come spend a delicious afternoon in our kitchen and discover the wonderful flavours, vibrant colours, nutritional value, fragrances and tastes of Indian food with Vijay. 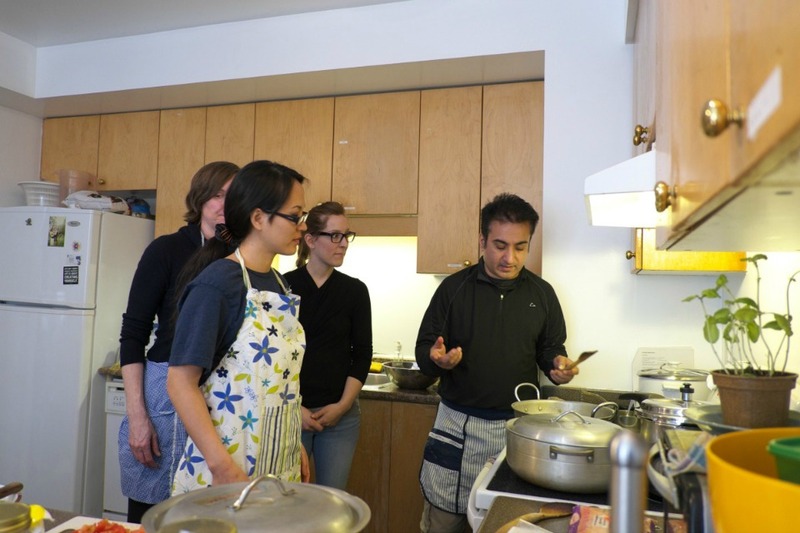 This workshop will focus on preparing some Indian vegetarian dishes, and also on many different types of Indian breads. Bring your appetite as the workshop will conclude with a feast! You might also be able to take some of your cooking back home. You will receive a copy of the recipes so that you can easily re-create the dishes at home for family and friends. We’ll review and practice in detail the 8 steps for coming into this posture safely and systematically. In this workshop, we will look at twelve basic postures according to the healing system of Ayurvedic medicine and how to perform yoga asanas taking into consideration Ayurvedic mind-body types. The effects of individual yoga postures on doshas (biological humors). Common challenges that can occur when not aware of our mind-body type. 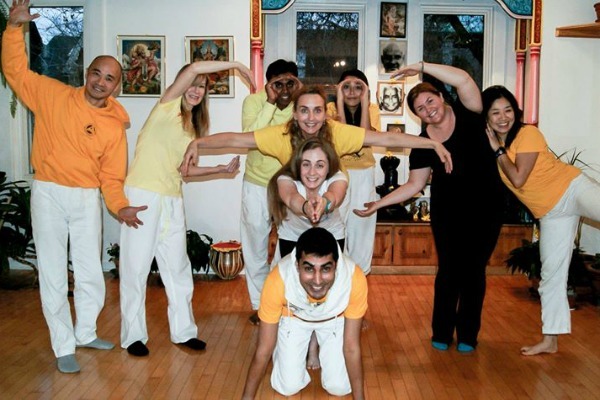 How performing 12 basic asanas, taught in our courses, helps harmonize doshas. Prana, the vital force informs yoga postures. Pranic flow can be best governed using asana and pranayama practices. Discussions will be focused on understanding what prana is, its classification and how hatha yoga practices can be used to balance and harmonize the overall energy flow in the body. 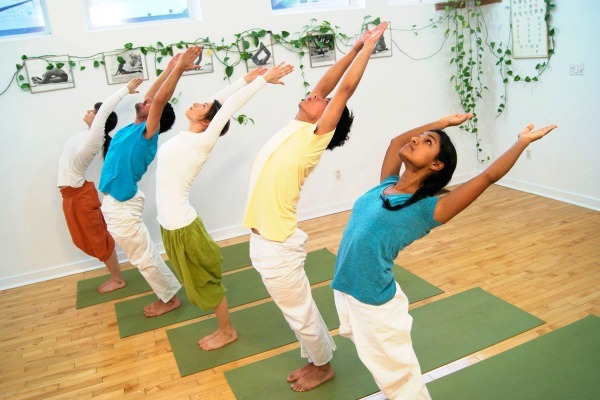 This course gives yoga teachers guidelines for teaching yoga to children and teens, as well as practical tools they can use to adapt yoga practices to their needs. The course is based on the teachings of Sivananda Yoga Vedanta Organization and Swami Vishnu-devananda’s 5 Basic Points of Yoga. * Activities that teach children and teens yoga precepts and mindful living. Open to yoga teachers of all traditions. Continuing education certificate of completion with Yoga Alliance. In this workshop, we will learn how different pranayama techniques relate to doshas/bodily humors and how can we use this knowledge to help us in our daily lives. 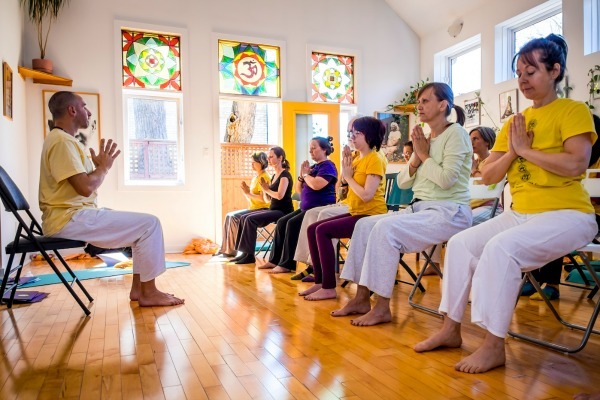 We will practice and discuss in detail this powerful practice in order to properly use it as remedy for different physical or mental imbalances.